Specialist treatments for the Koi Pond. 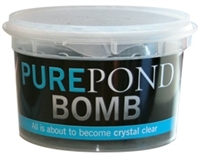 Inside the PURE Pond Bomb there is a unique combination of friendly bacteria and enzymes, which get to work as soon as the ball hits the water to clean up organic waste and break down the ammonia and nitrite to leave your pond crystal clear and healthy. 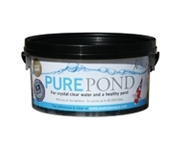 With over 8,000,000,000 bacteria per litre of Pure Pond Balls, your pond will shine even more than normal. 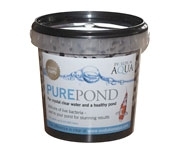 Add them to your filter where they will smooth out any peaks and troughs of the Ammonia/Nitrite cycle, to give you even healthier, crystal clear water.